Good news for heel haters! This season, designers have decided to ditch the skyscraper heels of winter and go back to basics with classic flats; so heave a sigh of relief for your feet as this spring is going to get a lot more comfortable. To give you some style inspiration we’ve put together a rundown of our favourite flats for the season, from dressed-up to casual, so you can put your best foot forward this spring, no matter what the occasion. Every girl needs a trusty pair of sneakers in the closet, especially for those laid back spring days and summer evenings in the park. This year there’s a real trend towards vintage and vintage-inspired sneaker designs – just take a look at the massive return of the classic Nike Blazer. 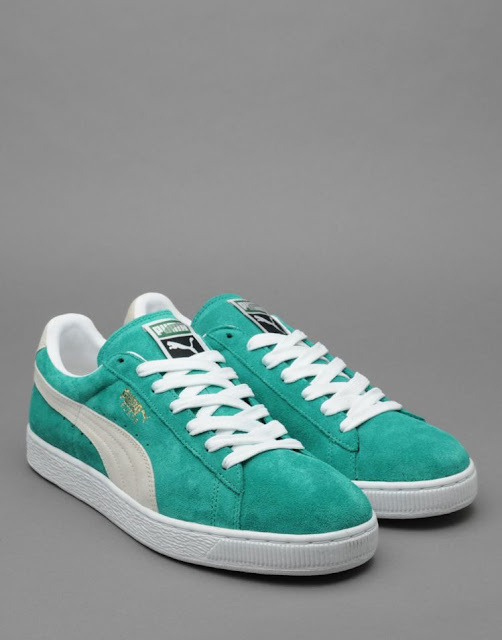 For low tops, look to Puma Suedes for an iconic and very comfortable sneaker for spring. There’s something about suede that softens the whole sneaker look, making it way more wearable and feminine. We’re in love with these Puma Suedes from BANK in a totally retro shade of green that’ll instantly lift any outfit, but these come in every colour under the sun, so feel free to experiment! There’s only one sandal you need in your wardrobe for spring, and the chances are you have a pair already. 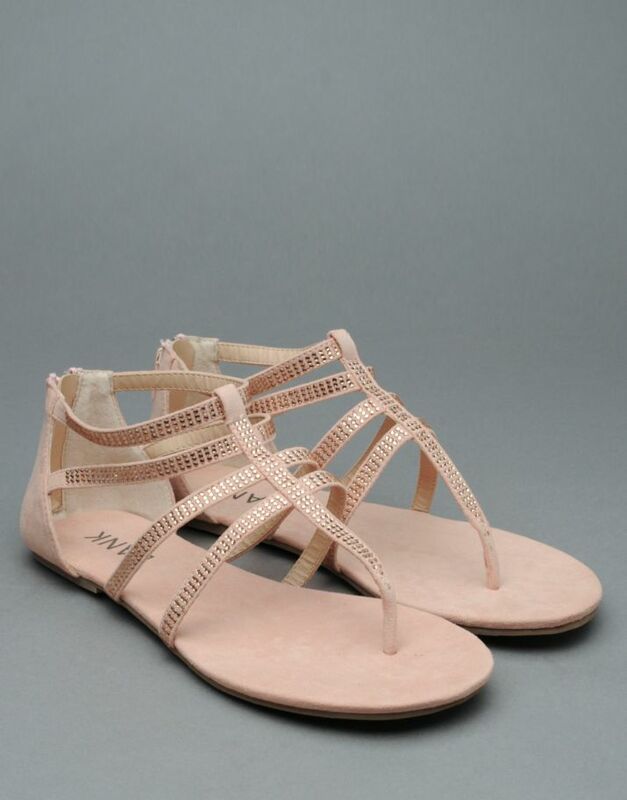 Gladiator sandals were back in a big way on the spring catwalks, in both the heeled and flat variety. This year though they’ve been stripped back for a more minimal take on the look, keeping it nice and fresh for 2013. So don’t go for OTT buckle detailing, instead stick to clean strapping and laces. Some shows, notably Alexander Wang, featured gladiator sandals that strapped up all the way to the knee – an easy way to make a really bold style statement. 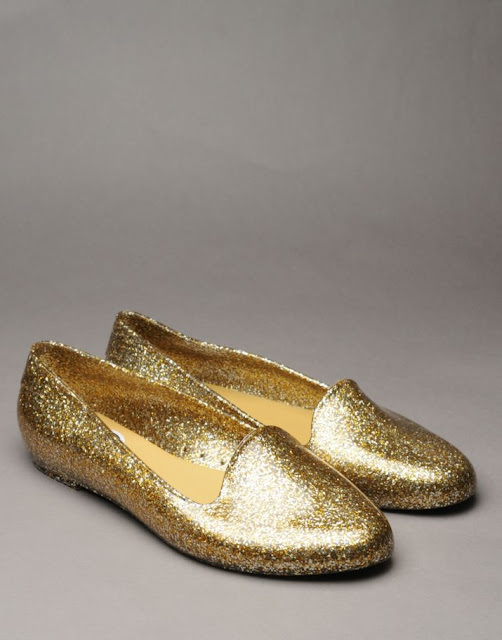 If you love flats but you’re tired of ballet pumps then this could be the spring shoe for you. And no, we don’t mean those Wallace and Gromit slippers you’ve got lurking under the bed. An elegant alternative to ballet pumps, with a real vintage feel too, slipper pumps cover more of the foot but keep the same dainty feel as ballet pumps. Just like ballet pumps, the fabric, colours and prints available are almost limitless, and it’s a fun shoe to experiment with when you want to add a dash of colour or a contrasting texture to outfits. We really love this Carven bow-backed pair in an eye-popping spring green. If you really can’t stand not wearing a heel, then there’s a new must-have heel height in town, and it’s flat-ish too. Kittenish heels that keep to less than three inches are a great way to add just a touch of height to outfits that don’t work so well with flats – sometimes a look just needs a little elevating to lengthen that silhouette. Elle has a great guide to the new look heel for spring, with plenty of inspiration in terms of colour and shape, and all look perfect with bare legs too.